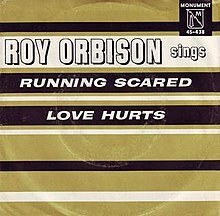 "Running Scared" is a song written by Roy Orbison and Joe Melson and sung by Orbison. The song was recorded by Bill Porter and released as a 45rpm single by Monument Records in March 1961. 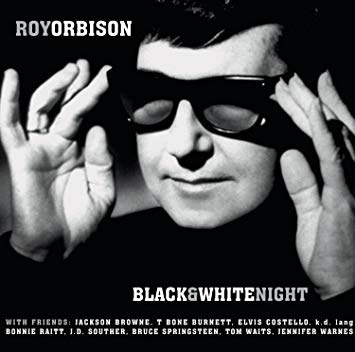 Noted for being a song written without a chorus, the song builds in the lyrics, arrangement, and vocals to a climax that, without vibrato, demonstrates the power of Orbison's clear, full voice. 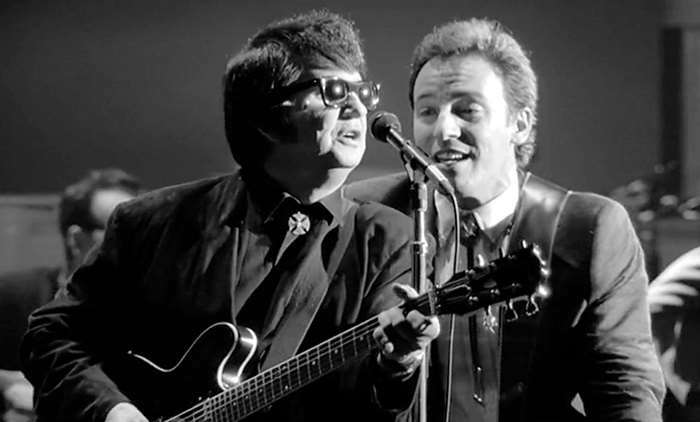 It is written in the bolero style; Orbison is credited with bringing this to the rock genre. Fred Foster producer of the session and of Monument Records did not want the powerful high note that ends the song to end in falsetto but in full or natural voice. According to Foster, the last note that ends the song is actually G above High C in full natural voice. The note is actually tenor high A, over Middle C. While "Running Scared" was an international hit, the B-side "Love Hurts" also picked up significant airplay in Australia. Consequently, chart figures for Australia show "Running Scared"/"Love Hurts" as a double A-side, both sides peaking at number five. This makes Orbison's recording of "Love Hurts" the first version to be a hit. "Love Hurts" later became better known in a version by rock band Nazareth, who had an international hit with it in 1975. Yeah, runnin' scared, what would I do?